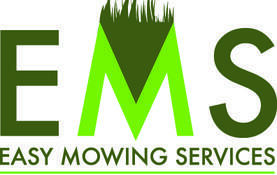 We want to make your Lawn Cutting Service as affordable as possible. Please see our lawn mowing service coupons so that you can save as much as possible. **Cannot be combined with any other offers. Includes lawn mowing service only. Other services are not included** Must mention Coupon Code EMLS2015 at time of estimate. Save 10% off per cut for minimum of 30 cuts per year. Discount applies to those 55 and older. **Cannot be combined with any other offers. Includes lawn mowing service only. Other services are not included** Must mention Coupon Code EMLSenior at time of estimate. Save 10% off per cut for minimum of 30 cuts per year. When you and a nieghbor receive your estimate and sign up on the same days. **Cannot be combined with any other offers. Includes lawn mowing service only. Other services are not included** Must mention Coupon Code EMLSNIEGHBOR at time of estimate. Save 20% off per cut for minimum of 30 cuts per year. When you and 5 nieghbors receive your estimate and sign up on the same days. We also offer spring/fall cleanup, leaf removal, mulching, planting, shrub trimming as separate services.